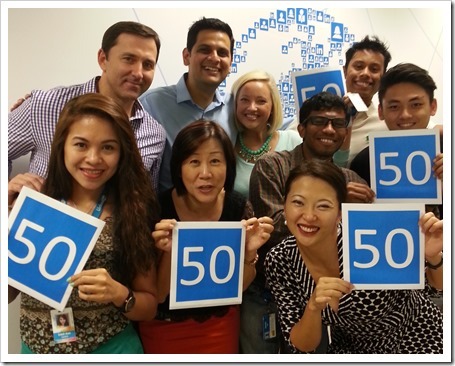 Linked today announced that they have crossed a milestone of 50 million members in Asia Pacific region. In an announcement made on their blog, Linkedin mentioned that they have nearly tripled in a span less than three years. Out of the 50 million members in Asia Pacific, India alone accounts for 24 million members our of which over 7 million new members were added in last year alone. Over 2 million new members joined Linkedin network in Australia and New Zealand. In Southeast Asia, the member base jumped more than 50% to reach 9+ million. Linkedin now has nine countries in Asia Pacific who have more than million members each India (24+ million), Australia (5+ million), China (4+ million), Indonesia and the Philippines (2+ million each), Japan, Singapore, Malaysia, and New Zealand (1+ million each). It is interesting that Linkedin has grown steadily over the years, even though every few months there is some new professional network that comes up. However, no one has been able to achieve the kind of success that is even close to Linkedin. Apart from being a Professional network, Linkedin is now focusing their efforts on professional job market. Last week they announced their biggest acquisition till date – Bright, a data-focused job search service – for $120 million. LinkedIn’s other major acquisitions include Slideshare, an online presentation sharing platform for $119 million and Pulse a news reader app for $90 million. Entrepreneurs, What Is The Value Of Your Business Idea? Hint: It Is In Cents!